Despite having an urban art fair in the Grimsby area, graffiti cannot be contained to a few days a year. Instead of detailed and pleasant murals, street artists are splashing storefronts and homes with basic tags and designs. 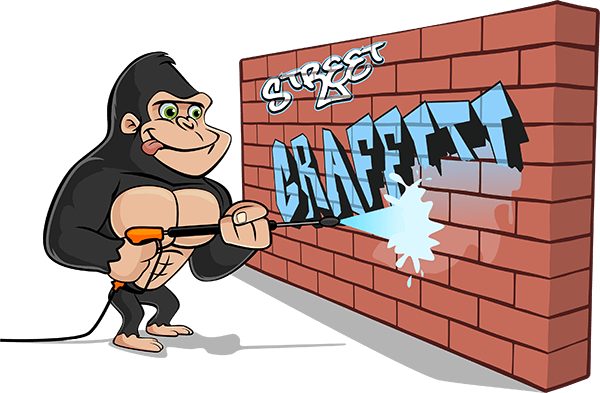 If your property has been the victim of an unwanted paint job, call in a Gorilla for your Grimsby graffiti removal. Over the years graffiti has been popping up more and more all over Canada. Supplies for street artists have only become more accessible over time. There is no hardware store, department store or art supply store that does not sell aerosol paints. For graffiti artists, there is nothing more simple than walking in and picking up a few “art supplies”. With these in hand, street artists are able to mark any storefront or home. Graffiti artists are very competitive, so once one tag shows up, it is not long for another one to appear. Instead of being simple paint stains, graffiti can be very offensive. 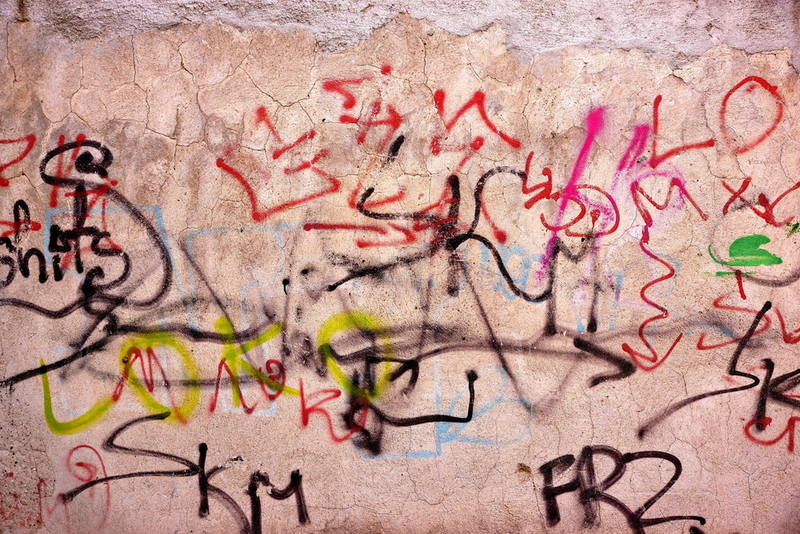 Graffiti tags often act as signatures but can also show up as offensive designs or hate speech. When these offensive designs pop up, call a Gorilla! We strive for same-day service for our Grimsby graffiti removal. When it comes to scrubbing away unwanted paint from your home or storefront, each property has different needs. You cannot approach a stucco wall in the same way that you would approach a wooden patio, window or garage door. Luckily, our Gorillas have experience with just about every sort of building material. By breaking your Grimsby graffiti removal into steps, our Gorillas get the right results every time. An application of eco-friendly Gorilla foam goes on first to pull up any surface staining. Once we have a clear view of the paint left behind, we can move forward with our finishing touches, if necessary. Our Gorillas don’t know when to quit and will always go the extra mile for your Grimsby graffiti removal.